Whether on medication, or you need to take your daily dose of multi vitamin tablets, the Sabi Grande Carafe is the perfect way to do so on the go. 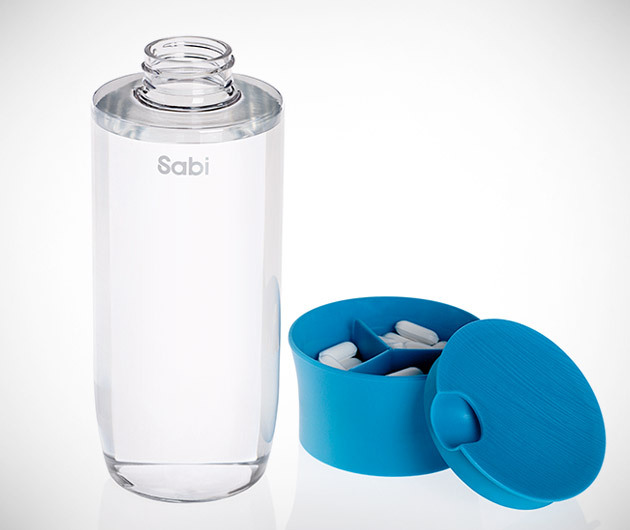 The ingenious design merges a water bottle and pill box into its lid. The easy snap-off top container is even divided into sections to keep those tablets organized.